I wish I could take credit for this find, but I can’t. 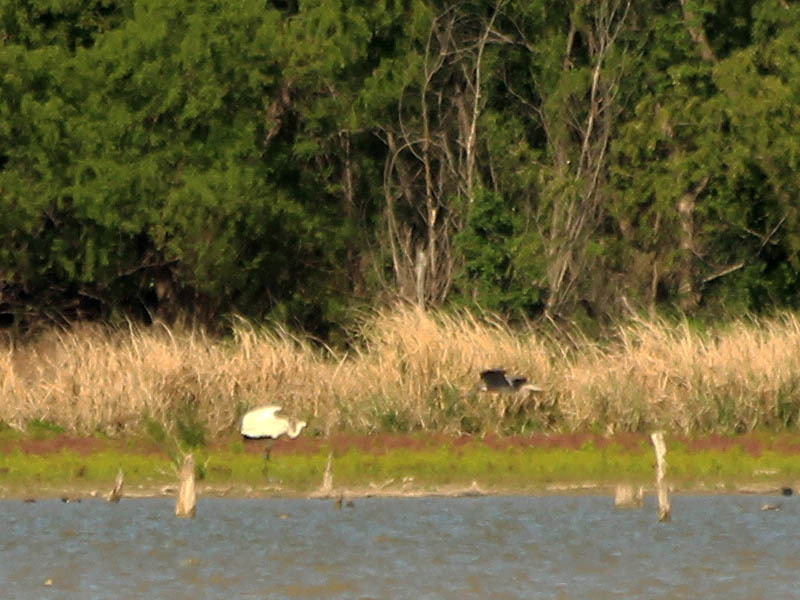 These two Whooping Cranes were spotted by Chris Runk and reported on the Audubon Dallas messageboards early yesterday morning. I had to wait until after work to have a look and did not have a camera with me that was up to the job. The cranes were on the other side of the lake and just too far away. But, at least they are documented. 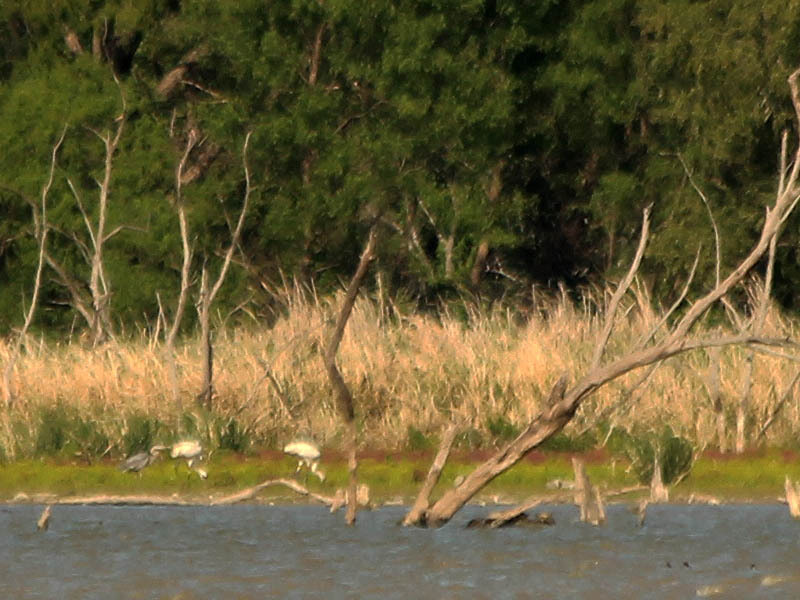 These are my first Whooping Cranes. 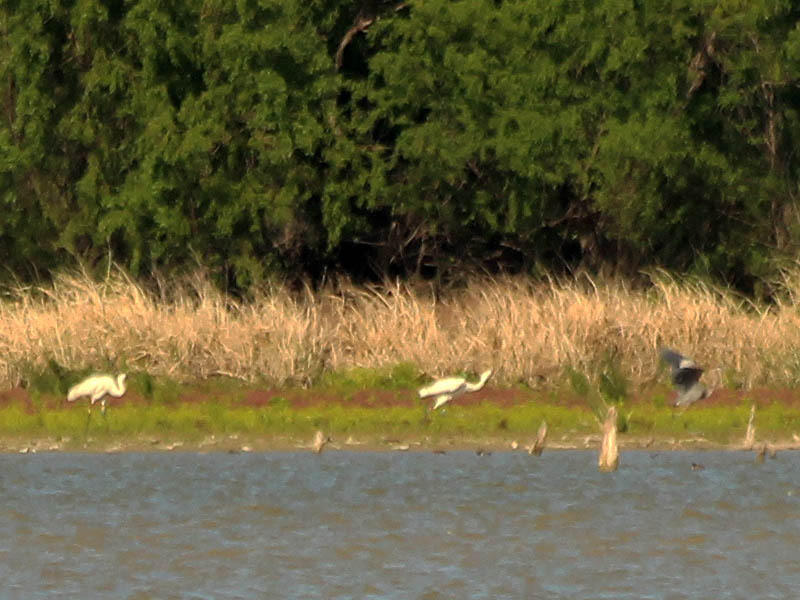 One bit of interesting behavior observed was an aggressive move by one of the cranes to drive away a Great Blue Heron. 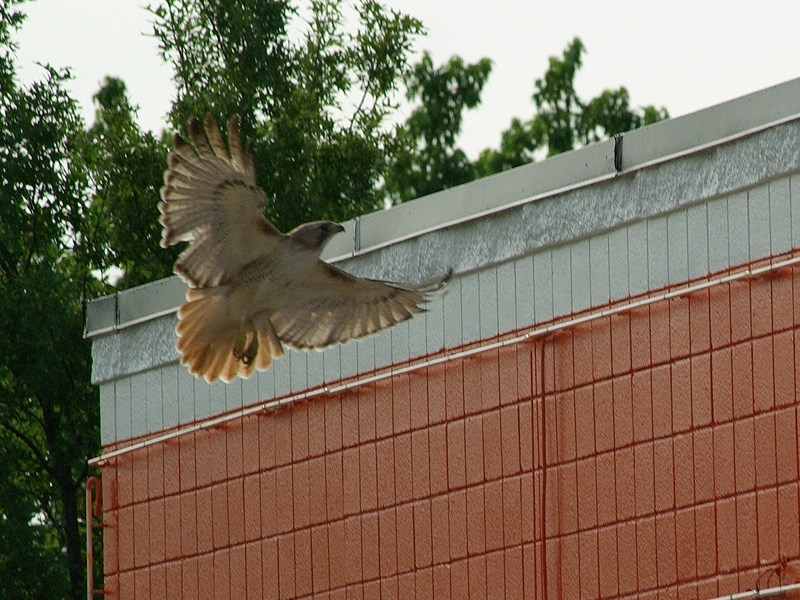 This encounter also allows an excellent opportunity to compare the sizes of these two birds. 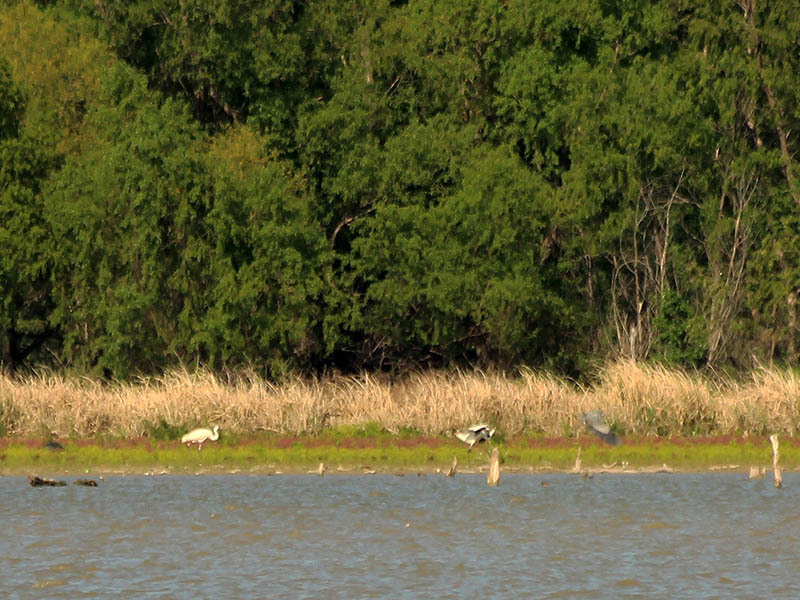 The Whooping Crane dwarfs the Great Blue Heron, which is a large bird by almost any measure. I’m going to cross my fingers and hope they are still there tomorrow. 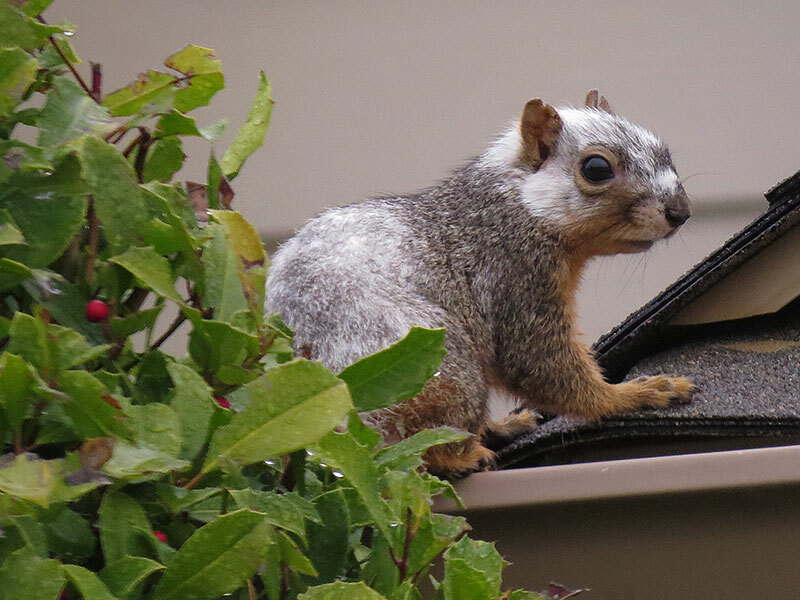 I plan to return with a little longer lens! 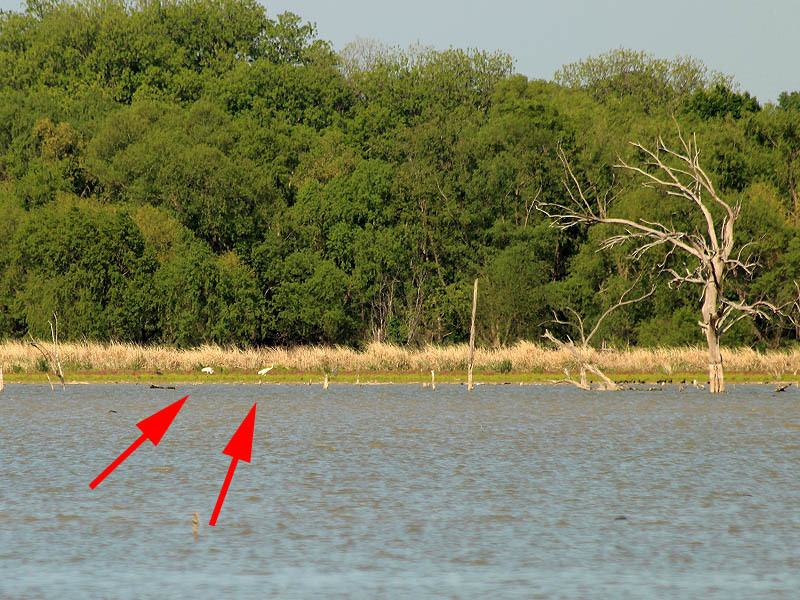 The arrows indicate the two Whooping Cranes on the east bank of Lake Ray Hubbard. 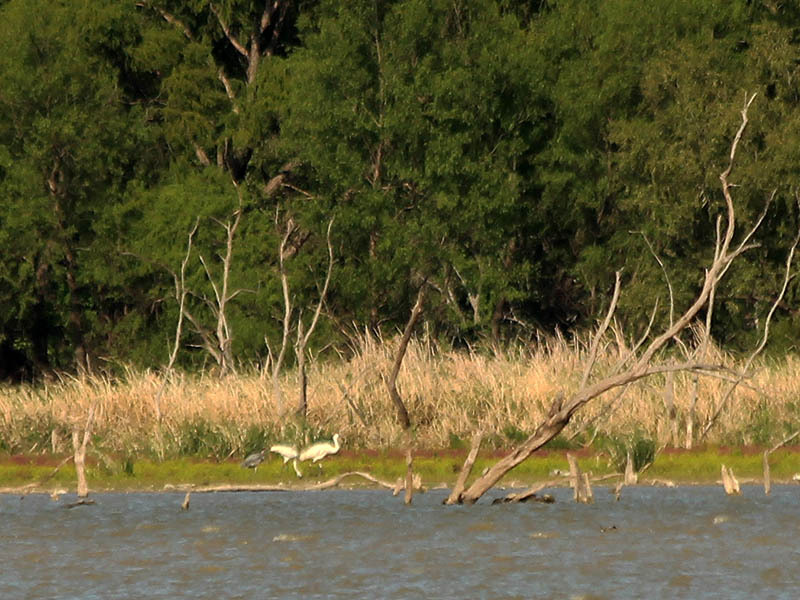 Here one of the Whooping Cranes moves to drive away an offending Great Blue Heron. The Great Blue Heron takes his leave. The crane encouraged the smaller heron to leave without much effort. Minutes later the three birds were back together again as if nothing had happened. 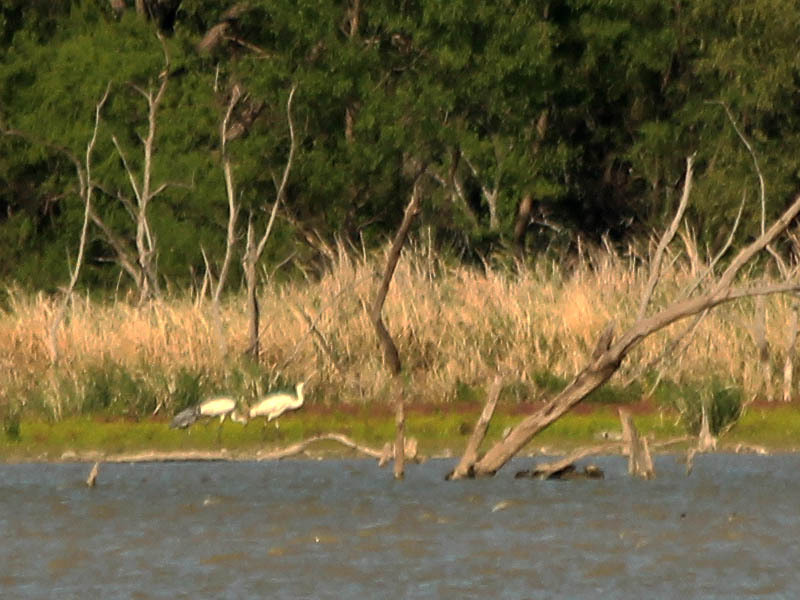 This picture allows for a nice size comparison between the Whooping Cranes and the Great Blue Heron. 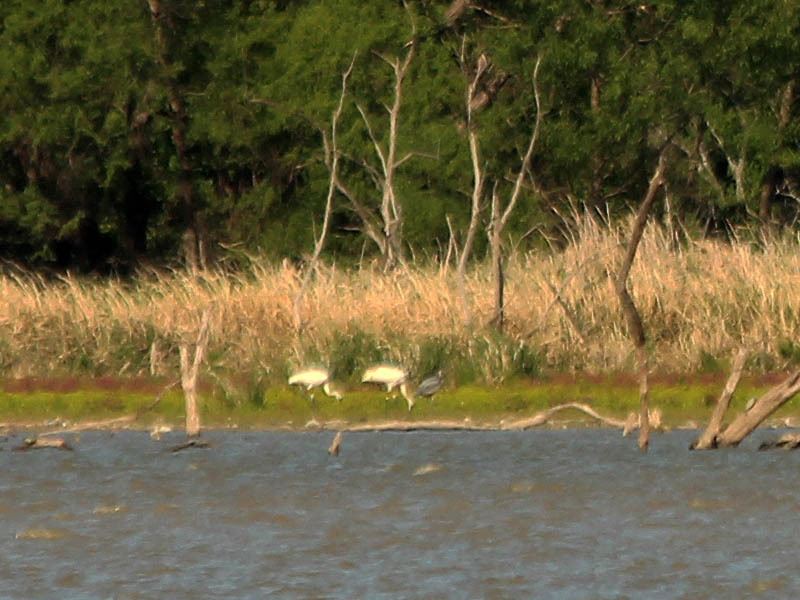 Whooping Cranes in Rowlett, Texas. Feeding along the shore of Lake Ray Hubbard across from Wynn Joyce Park in Garland, Texas. As of half past noon today (Tuesday, April 30) both cranes were still on site. Same place as last night. 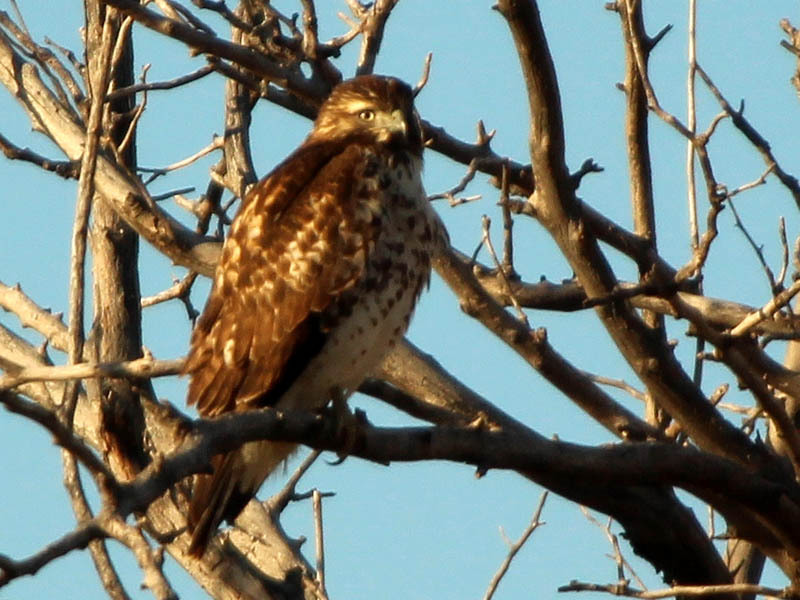 They were hidden in the tall grass when I arrived, and only emerged into plain view after 10 to 15 minutes. If you go and don’t see them right away, be patient.